Honors & Awards for our ACT Interns! Have you watched the local TV broadcasts or read the newspapers this week? The BIG news is that RILEY DODGE has been named the new head coach for Southlake Carroll High School’s powerhouse football team. Riley was a former American football player and a 2015 ACT Dallas intern. He follows in his father’s footsteps as a winning coach and is now on his own path for super stardom! Go team go! 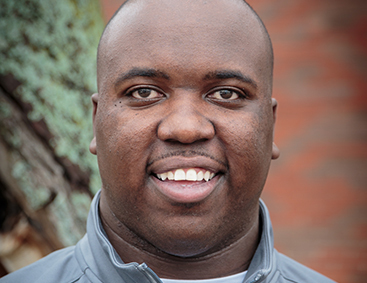 Congratulations to ACT Dallas graduate MARCUS SHAVERS on his new head coaching position at McKinney High school in McKinney ISD! Marcus was an ACT Dallas 2009 intern. From the minute we met him, we knew that he would be a very inspiring influence on his students and athletes. Throughout the years, Marcus have been very thoughtful to not only stay in touch with ACT Dallas, but also to refer prospective teachers to our program. You will enjoy reading about Marcus Shavers and watching this video. Let's give a big cheer for SABRINA HODGE! Sabrina went through the ACT program in 2008 and began teaching at Florence Middle School in Dallas ISD. She was honored as the Teacher of the Year for her campus in 2009-10. Then she was promoted to Instructional Coach and has now been an Assistant Principal for the past 3 years. Sabrina is one of the founding administrators of the new Young Men's Leadership Academy at Florence MS and the only female administrator. In her free time, Sabrina started "Feed the Grove", a community service program that feeds over 200 families at Thanksgiving. She is also in the process of completing her doctorate degree. Wow! What a champion! Congratulations to MATTHEW BADO! Matthew is the Teacher of the Year for Caldwell Elementary School in McKinney ISD. Matthew teaches first grade and has been at Caldwell for 3 years. What an honor for Matthew, who grew up in McKinney. Here is another big winner! Congratulations to DARLA GRAY, Teacher of the Year at Piedmont Global Academy in Dallas ISD. Darla is a very busy 7th grade Texas History teacher, because she is also the Team 4 Lead teacher, the Academic Decathlon Coach, and the 7th grade Activities Coordinator. Darla has been teaching for 3 years. Congratulations to ALICIA RODRIGUEZ! Alicia has been honored as the Teacher of the Month at Good Elementary School in Irving ISD. Alicia's 4th grade students are cheering for her. Let's all cheer for Alicia! Hooray! Let's all cheer for ALICIA BERDAN. who has been selected for the Greenhorn Award. This is the award for the most outstanding first year teacher on her campus. Alicia is an art teacher at W. T. White High School in Carrollton-Farmers Branch ISD. Congratulations, Alicia! Great news! We have just learned that JOSH HAIRSTON has been honored as the outstanding Teacher of the Month for his campus. Coach Hairston teaches PE at Rosa Parks Elementary School in Lancaster ISD. Let's give a cheer for TIFFANY SHOEMAKER, who is the Teacher of the Year at Press Elementary School in McKinney ISD. Tiffany teaches Special Education to 3rd-5th graders and loves every minute with her students. Tiffany has been teaching at Press Elementary for 5 years. Congratulations to Mr. LANDRY DAVIS! Landry has been honored as the Teacher of the Year for Bright Elementary School in Frisco ISD. Landry has taught at Bright for 5 years, the first 3 years in 4th/5th grade and since then in 2nd grade. Way to go, Landry! Here is a huge round of applause for HANNAH DIENER who has been awarded the honor of "Beginning Teacher of the Year". Hannah is a Special Education Reading Teacher at Murphy Middle School in Plano ISD. Congratulations, Hannah! Congratulations to CHRISTOPHER HARRIS, who was honored as the "Teacher of the Year" for his campus, Harmony Academy of Science in Dallas. Mr. Harris is an outstanding high school science teacher and very deserving of this award. Cheers and applause, please! Yippee! Let's cheer for GENESIS ALMONTE! Ms. Almonte completed her internship last year and has been honored as the "Teacher of the Year" for her campus. Genesis teaches 2nd grade dual language classes at Bowie Elementary in Grand Prairie ISD. Her students (and all of us!) are very excited for Ms. Almonte. Here is a huge shout of Congratulations to JAMES LOONEY! James was an ACT intern last year. This year he is the "Teacher of the Year" for his campus! James is a kindergarten teacher at Cabaniss Elementary in Mansfield ISD. What a super star he is!! Wow! KEITH HOWELL who completed his internship in May 2013, has been honored as the "Teacher of the Year" for his campus, Timberview High School in Mansfield ISD. Keith is very actively involved on campus as the AVID I Teacher, BIM Teacher,Football Coach, JV & Freshman Boys Basketball Coach, and FCA Sponsor. Way to go, Keith! Let's give a round of applause to TITANIA MUSE, who has been honored as the "Teacher of the Month" for February. Titania is an outstanding first science teacher at Winfree Academy in Grand Prairie ISD! Here is a big Congratulations! to GENESIS ALMONTE who has been honored as the "Teacher of the Month" for February. Genesis is a 2nd grade dual language teacher at Bowie Elementary in Grand Prairie ISD. Way to go! Cheers and congratulations to PEDRO DAVILA who has been honored as the "Best Science Teacher" at Irving High School in Irving ISD. Mr. Davila was selected by a school-wide vote by students who said that "Mr. Davila is an amazing teacher who makes us want to achieve our goal by studying and giving consequences, if we do not." SUZANNE WEATHERS, who received her Standard Certificate in December 2013, has been already been recognized for her outstanding leadership at Uplift Hampton Preparatory Primary School. She will be promoted to Asst. Principal (Dean) for the new school year and will begin as an administrator on June 1st. Congratulations to Suzanne! This is outstanding! SHANNON THORNTON, 1st grade teacher at Central Elementary School in Duncanville ISD hass been selected by the Texas Alternative Certification Association as one of 3 INTERNS OF THE YEAR for the state of Texas. Shannon will be honored at the statewide conference in San Antonio on October 21, 2014. Congratulations to Shannon! What an honor! RACHEL SALES has been honored the Outstanding 4th and 5th Grade Teacher at her campus, Harmony Science Academy of Garland. Throughout the year, she consistently received votes from her students and their parents, so that she received the award for Outstanding Teacher for both the 5th and 6th six-weeks period. Then she received the grand award of Outstanding 4th & 5th Grade Teacher for the year! Congratulations to Rachel! Let's shout out Congratulations to KEYSHA CHESTER who has been honored as Teacher of the Year for her campus. Keysha teaches 7th grade English at Kennemer Middle School in Duncanville ISD. Keysha is an outstanding teacher and life-long educator, for she is pursuing her Master's Degree and will finish next May. Here's a rousing round of applause for ANGELA RICHARDS, Rookie Teacher of the Year! Angela teaches 2nd grade at Mathews Elementary in Plano ISD. Congratulations to Angela! M. T. TYESKIE has been named "New Teacher of the Year" at North Dallas High School where he is an Inclusion Special Education Teacher. Wow! Wow! WOW! At Thomas Jefferson High School, FRED HOLLAND has been named "Teacher of the Year." Congratulations to M.T. and Fred! 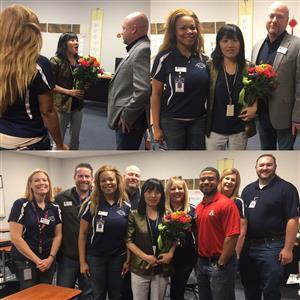 Let's give a cheer of congratulations to SHANA PINK YOUNG who was nominated for 1st Year Teacher of the Year at Barnett Middle School in Arlington ISD. Shana teaches Special Education. She will begin a Master's Degree this summer to become a school counselor. Way to go! A double congratulations is in order for KRYSTAL COLEMAN. She finished her Master's Degree at Texas A & M University and was named Rookie Teacher of the Year at Roosevelt High School in Dallas ISD where she successfully completed her first year in the classroom. Lots of firsts!!! Let's give a cheer and a big round of applause to RALPH PARKMAN. Mr. Parkman has been honored as the Teacher of the Year for his school, McNeil Elementary School in McKinney ISD. Mr. Parkman teaches 5th grade and is an inspiring role model for all. Congratulations! Congratulations to TONITA HALL! Tonita is a kindergarten teacher at Carol Holt Elementary in Mansfield ISD. Tonita received the Mansfield ISD October 2010 Heartbeat Team Award during a surprise presentation at her school. The heartbeat Team was established to recognize employees who display heart in their lives and inspire other employees with their actions. Tonita was honored for her extraordinary efforts in connecting with students and fostering the love of school. Congratulations to SABRINA HODGE who is the New Teacher of the Year for Fred Florence Middle School in Dallas ISD. Sabrina is an outstanding English teacher who loves working with students. Congratulations to BRIAN RUSHING who is the Teacher of the Year for his campus! Brian teaches English at Quest Academy, the alternative school for Rockwall ISD. A big shout out of Congratulations! to TIFFANY MASON-TAYLOR! Tiffany has been honored as the the Teacher of the Month at Daniel Intermediate School in Duncanville ISD. Tiffany teaches 5th grade English Language Arts / Social Studies. JOANN YOES is the winner at Dooley Elementary. JoAnn teaches 1st grade. ELBA SIFONTE has been honored at Mendenhall Elementary. Elba teaches 2nd grade. KAREN DANIEL is the honoree at Schell Elementary. Karen teaches Special Education. CHIEKO TENNER is Wyatt Elementary's Beginning Teacher of the Year. Chieko teaches Special Education. Wow! Congratulations to these outstanding 1st year teachers. Let's join in a big round of applause for DAVID HOWARD who was honored as the Rookie of the Year for his campus in Mesquite ISD. David teaches teaches Advanced Placement psychology and social studies at North Mesquite High School. Congratulations! Congratulations to ANN CHUKWUMAH, a former ACT Houston-at Dallas intern, who is now a 3rd year teacher. ANN was named the 2008-09 Teacher of the Year for her campus! Ann teaches 3rd grade at Glen B. Couch Elementary in Garland ISD! Congratulations to BROOKE RUSSELL who was honored as the April 2009 Teacher of the Month by her school, Roach Middle School, in Frisco ISD! Let's give a big round of applause to JAMIE VANCE-POLK, business teacher at the Dr. Yvonne Ewell Townview Magnet Center in Dallas ISD. Jamie received her Standard Certificate last spring and was honored this year as the school's 2009 Teacher of the Year. Congratulations on this award! Congratulations to ROCHELLE VAUGHN, business teacher at Plano West High School in Plano ISD! Rochelle is the Beginning Teacher of the Year for her campus. Rochelle also coaches the girls' basketball team. Go Team! Congratulations to STEPHANIE CONNORS who has been honored as the Beginning Teacher of the Year at Meadows Elementary in Plano ISD! Stephanie teaches special education. A big round of applause to LUTHER COBBEY, librarian at Atherton Elementary in Arlington ISD, who has been honored as the Teacher of the Year. Luther participated in the ACT program in 2005. Congratulations to SUELLEN MICK, the Beginning Teacher of the Year for Murphy Middle School in Plano ISD! Ms. Mick is a 6th grade science teacher. Way to go! Congratulations to INDIRA CASTILLO CURTIS! Ms. Curtis was honored as the Beginning Teacher of the Year for Memorial Elementary School in Plano ISD. Ms. Curtis is a kindergarten teacher at Memorial. Congratulations to JONATHAN CLIFTON who was honored as the Gaston Middle School Teacher of the Year! Jonathan teaches in Dallas ISD. Congratulations to SHIRLEY WESLEY who completed the ACT Summer Institute and is now beginning her internship as a Special Education Teacher in Dallas ISD! Shirley was honored as the DISD Special Education Teacher Assistant of the Year for 2007-08! She was also selected as a semi-finalist honoree for 2007-08 at the Billy E. Dadle Middle Learning Center in DISD. Congratulations! Congratulations to CEDRIC INGRAM who was named "Rookie of the Year" by the administrative staff at North Crowley 9th in Crowley ISD. This is an outstanding accomplishment! Bravo and congratulations to TAMARA BALLARD who was selected as Forney ISD's Teacher of the Year! Tamara began her teaching career in Forney as an intern and is now the top teacher in the district. Congratulations to MICHELLE SMITH who was named 2007-08 Beginning Teacher of the Year for her campus! Michelle teaches at Centennial Elementary School in Plano ISD. Sing out praises for Ms. JILIAN BROWN who has been name "Outstanding 1st Year Teacher" at Ferris Intermediate School in Ferris ISD. Congratulations to Jilian who teaches music! 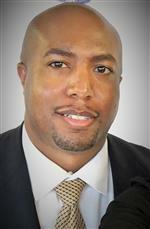 Congratulations to KEITH LOTT who was named 2007-08 "Teacher of the Year" for Hampton Preparatory! Keith's 5th & 6th grade students were recognized for Reading TAKS scores. Keith has been named as a School Director for 2008-09. Congratulations! Congratulations to TERRIE SPENCER, 4th grade teacher at Lancaster Elementary in Lancaster ISD! Terrie received an award for "Perfect Attendance" for the 2007-08 school year. Terri's 4th grade team had the highest Writing TAKS scores (96%) throughout the district. A big Congratulations to MARK RUDD who is honored to be the Plano ISD Secondary Beginning Teacher of the Year! Mark teaches Special Education at Vine High School. Congratulations to Mark on this outstanding honor from his school district. Visit the Plano ISD website for photos of Mark receiving his award. GINA DUNCAN has been named the Meadows Elementary Beginning Teacher of the Year. Gina teaches in Plano ISD. Congratulations, Gina! Congratulations to TANJI ALEXANDER JOHNSON who has been named the Dooley Elementary Beginning Teacher of the Year. Tanji teaches in Plano ISD. KELSEY MACKE of Richland High School, an ACT 2006-07 intern, was nominated and won the "Teachers Driving Success Program", sponsored by CBS, TX21, and Driver's Select. Kelsey is now driving the brand new car that she received as the winner of this program. Congratulations Kelsey! Congratulations to TERRIE SPENCER, 4th grade teacher at Lancaster Elementary in Lancaster ISD. One of her students entered an essay writing contest on Character Traits. Entries were received from many states across the nation. Terrie's student was selected as the ONE and ONLY WINNER. Her student won a $1,000 scholarship to college, will be honored at a dinner, AND will also film a commercial!